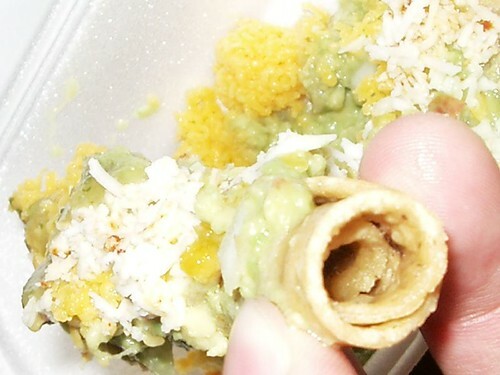 The rolled taco from Benitos is better known as the taquito in many parts, though the two are, in fact, the same. The shell is hard, and the filling is minimal. Personally, I'm not a huge fan of taquitos in general due to the grease factor. This one was no different. This Benitos Taco Shop meal was rated: 4.6. Monday, February 27, 2006 by Jonah. Don't see your favorite listed here? Add it to the Mexican Restaurant Directory.